Whether you’re writing a blog post, creating a social media post or putting together an email series, you need images. Why? Because we’re naturally drawn to visual content. Plus, using visual content in your marketing collateral can increase interest in your content and improve engagement via clicks and shares – which is the point of your content in the first place! 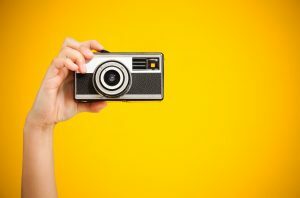 Now that we’ve established the importance of using images in marketing, the next consideration is where to find images. There are plenty of paid sites that offer image downloads for a fee (such as 123rf and Shutterstock), and there are times when these sites might be the only place you can find exactly what you want. But there are plenty of other sites that offer royalty-free images. Royalty-free means that you are able to use the image without paying a royalty or license fee. Finally, if you want to customize your photo by adding text or graphics, Canva or PicMonkey are great services that make it easy. A final note – before using or editing any photo from the web, even from a site offering free images, double check the copyright restrictions to make sure you are in the clear.